The Achaemenid Empire at its greatest extent, including the Yehud Province. In the late 7th century BCE Judah became a vassal-kingdom of the Neo-Babylonian Empire, but there were rival factions at the court in Jerusalem, some supporting loyalty to Babylon and others urging rebellion. In the early years of the 6th century, despite the strong remonstrances of the prophet Jeremiah and others, King Zedekiah revolted against Nebuchadrezzar and entered into an alliance with pharaoh Hophra of Egypt. The revolt failed, and in 597 BCE, many Judahites, including the prophet Ezekiel, were exiled to Babylon. A few years later, Judah revolted yet again. In 589 Nebuchadnezzar again besieged Jerusalem, and many Jews fled to Moab, Ammon, Edom and other countries to seek refuge. The city fell after an 18-month siege and Nebuchadnezzar again pillaged and destroyed Jerusalem and burned the Temple. Thus, by 586 BCE, much of Judah was devastated, the royal family, the priesthood, and the scribes, the country's elite, were in exile in Babylon, and the former kingdom suffered a steep decline of both economy and population. The former kingdom of Judah then became a Babylonian province Yehud, with Gedaliah, a native Judahite, as governor (or possibly ruling as a puppet king). According to Miller and Hayes, the province included the towns of Bethel in the north, Mizpah, Jericho in the east, Jerusalem, Beth-Zur in the west and En-Gedi in the south. The administrative centre of the province was Mizpah. On hearing of the appointment, the Jews that had taken refuge in surrounding countries returned to Judah. [unreliable source?] However, before long, Gedaliah was assassinated by a member of the former royal house, and the Babylonian garrison was killed, triggering a mass movement of refugees to Egypt. In Egypt, the refugees settled in Migdol, Tahpanhes, Noph, and Pathros,[unreliable source?] and Jeremiah went with them as moral guardian. The numbers deported to Babylon or who made their way to Egypt and the remnant that remained in Yehud province and in surrounding countries are subject to academic debate. The Book of Jeremiah reports that a total of 4600 were exiled to Babylon. To such numbers must be added those deported by Nebuchadnezzar in 597 BCE after the first siege to Jerusalem, when he deported the king of Judah, Jeconiah and his court and other prominent citizens and craftsmen along with a sizable portion of the Jewish population of Judah, numbering about 10,000. The Book of Kings also suggests that it was 8000. Israel Finkelstein, a prominent archaeologist, suggests that the 4600 represented the heads of households and 8000 was the total, and 10,000 is a rounding upwards of the second number. Jeremiah also hints that an equivalent number may have fled to Egypt. Given such figures, Finkelstein suggests that three fourths of the Judahite population had remained in Judah. In 539 BCE, Babylon fell to the Persians. That event is dated securely from non-biblical sources. In his first year (538 BCE), Cyrus the Great decreed that the deportees in Babylon could return to Yehud and rebuild the Temple. Led by Zerubbabel, 42,360 exiles returned to Yehud, where he and Jeshua the priest, although they were in fear of the "people of the land", re-instituted sacrifices. The Babylonians removed only a portion of the population of Jerusalem; of those exiles, only a small portion returned to Jerusalem (539) after the Persian conquest of Babylon, and did so over several decades. The population of Persian-period Jerusalem and the area was smaller than once believed, only a few thousands. Much of the literature which became the Hebrew bible was compiled during the Persian period, and Persian Yehud saw considerable conflict over the construction and function of the Temple and matters of cult (i.e., how God was to be worshiped). Persia controlled Yehud using the same methods it used in other colonies, and the bible reflects this, and Yehud's status as a Persian colony is crucial to understanding the society and literature of the period. The restoration of the Davidic kingdom under Persian royal patronage was clearly the project of the exile community in the early post-Exilic period. The returnees attempted to restore in Yehud the First Temple threefold leadership template of king (Sheshbazzar and Zerubbabel), high priest (Joshua, descended from the priestly line), and prophets (Haggai, Zechariah). However, by the middle of the next century, probably around 450 BCE, the kings and prophets had disappeared and only the high priest remained, joined by the scribe-sage (Ezra) and the appointed aristocrat-governor (Nehemiah). This new pattern provided the leadership model for Yehud for centuries to come. Yehud was considerably smaller than the old kingdom of Judah, stretching from around Bethel in the north to about Hebron in the south (although Hebron itself was unpopulated throughout the Persian period), and from the Jordan River and Dead Sea in the east to, but not including, the shephelah (the slopes between the Judean highlands and the coastal plains in the west). After the destruction of Jerusalem the centre of gravity shifted northward to Benjamin; this region, once a part of the kingdom of Israel, was far more densely populated than Judah itself, and now held both the administrative capital, Mizpah, and the major religious centre of Bethel. Mizpah continued as the provincial capital for over a century. The position of Jerusalem before the administration moved back from Mizpah is not clear, but from 445 BCE onwards it was once more the main city of Yehud, with walls, a temple (the Second Temple) and other facilities needed to function as a provincial capital, including, from 420 BCE, a local mint striking silver coins. Nevertheless, Persian-era Jerusalem was tiny: about 1500 inhabitants, even as low as 500 according to some estimates. It was the only true urban site in Yehud, the bulk of the province's population lived in small unwalled villages. 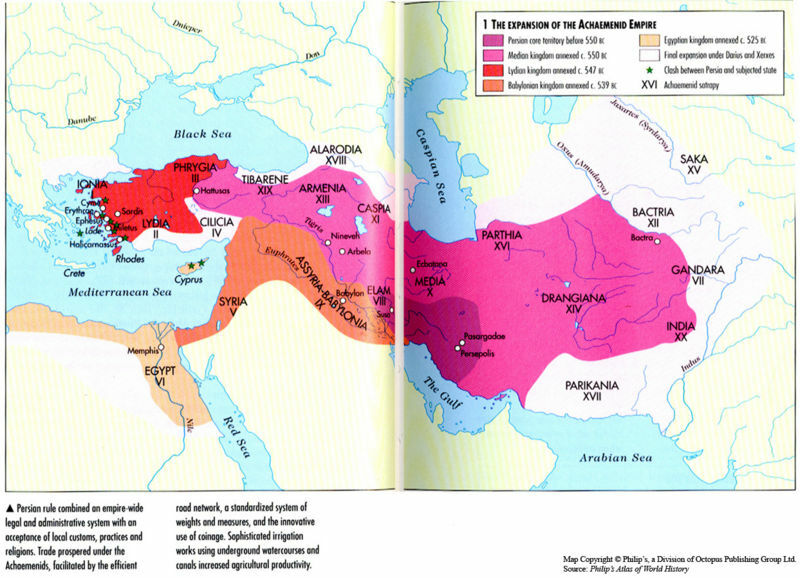 This picture did not much change throughout the entire Persian period. The entire population of the province remained around 30,000. There is no sign in the archaeological record of massive inwards migration from Babylon, in contradiction to the biblical account where Zerubbabel's band of returning Israelite exiles alone numbered 42,360. The Persians seem to have experimented with ruling Yehud as a client-kingdom, but this time under the descendants of Jehoiachin, who had kept his royal status even in captivity. Sheshbazzar, the governor of Yehud appointed by Cyrus in 538, was of Davidic origin, as was his successor (and nephew) Zerubbabel; Zerubbabel in turn was succeeded by his second son and then by his son-in-law, all of them hereditary Davidic governors of Yehud, a state of affairs that ended only around 500 BCE. This hypothesis - that Zerubbabel and his immediate successors represented a restoration of the Davidic kingdom under Persian overlordship - cannot be verified, but it would be in keeping with the situation in some other parts of the Persian Empire, such as Phoenicia. The second and third pillars of the early period of Persian rule in Yehud, copying the pattern of the old Davidic kingdom destroyed by the Babylonians, were the institutions of High Priest and Prophet. Both are described and preserved in the Hebrew Bible in the histories of Ezra-Nehemiah-Chronicles and in the books of Zechariah, Haggai and Malachi, but by the mid-5th century BCE the prophets and Davidic kings had ended, leaving only the High Priest. The practical result was that after c.500 BCE Yehud became in practice a theocracy, ruled by a line of hereditary High Priests. The governor of Yehud would have been charged primarily with keeping order and seeing that tribute was paid. He would have been assisted by various officials and a body of scribes, but there is no evidence that a popular "assembly" existed, and he would have had little discretion over his core duties. Evidence from seals and coins suggests that most, if not all, of the governors of Persian Yehud were Jewish, a situation which conforms with the general Persian practice of governing through local leaders. Zerubbabel, until 510. led the first wave of Jewish exiles back to Judea after the fall of Babylonian Empire to Cyrus the Great. His family, however, remained behind in Nehardea. Ezra ben Seraiah 458-430, the subject of the Old Testament Book of Ezra. There is a general consensus among biblical scholars that ancient Judah during the 9th and 8th centuries BCE was basically polytheistic, with Yahweh as a national god in the same way that surrounding nations each had their own national gods. Monotheistic themes arose as early as the 8th century, in opposition to Assyrian royal propaganda, which depicted the Assyrian king as "Lord of the Four Quarters" (the world), but the Exile broke the competing fertility, ancestor and other cults and allowed it to emerge as the dominant theology of Yehud. The minor gods or "sons of Yahweh" of the old pantheon now turned into a hierarchy of angels and demons in a process that continued to evolve throughout the time of Yehud and into the Hellenistic age. Persian Zoroastrianism certainly influenced Judaism. Although the exact extent of that influence continues to be debated, they shared the concept of God as Creator, as the one who guarantees justice and as the God of heaven. The experience of exile and restoration itself brought about a new world view in which Jerusalem and the House of David continued to be central ingredients, and the destruction of the Temple came to be regarded as a demonstration of Yahweh's strength. Possibly the single most important development in the post-Exilic period was the promotion and eventual dominance of the idea and practice of Jewish exclusivity, the idea that the Jews (meaning followers of the god of Israel and of the law of Moses) were or should be a race apart from all others. According to Levine, that was a new idea, originating with the party of the golah, those who returned from the Babylonian exile. In spite of the reforming ex-Babylonian golah leader, Nehemiah, refusing the request of the Yahweh-worshiping Samaritans to help rebuild the Temple, and Ezra's horror at learning that Yehudi Yahweh-worshipers were intermarrying with non-Yehudis (possibly even non Yahweh-worshipers), the relations with the Samaritans and other neighbours were, in fact, close and cordial. Comparison of Ezra-Nehemiah and Chronicles bears this out: Chronicles opens participation in Yahweh-worship to all twelve tribes and even to foreigners, but for Ezra-Nehemiah, "Israel" means the tribes of Judah and Benjamin alone as well as the holy tribe of Levi. Scholars believe that in the Persian period the Torah assumed its final form, the history of ancient Israel and Judah contained in the books from Joshua to Kings was revised and completed and the older prophetic books were redacted. New writing included the interpretation of older works, such as the Book of Chronicles, and genuinely original work including Ben Sira, Tobit, Judith, 1 Enoch and, much later, Maccabees. The literature from Ben Sira onwards is increasingly permeated with references to the Hebrew Bible in the present form, suggesting the slow development of the idea of a body of "scripture" in the sense of authoritative writings. One of the more important cultural shifts in the Persian period was the rise of Aramaic as the predominant language of Yehud and the Jewish diaspora. Originally spoken by the Aramaeans, it was adopted by the Persians and became the lingua franca of the empire, and already in the time of Ezra, it was necessary to have the Torah readings translated into Aramaic for them to be understood by Jews. ^ O'Brien, Patrick Karl (2002). Atlas of World History. Oxford University Press. pp. 42–43. ISBN 9780195219210. ^ Philip's Atlas of World History. 1999. ^ Davidson, Peter (2018). Atlas of Empires: The World's Great Powers from Ancient Times to Today. i5 Publishing LLC. ISBN 9781620082881. ^ Barraclough, Geoffrey (1989). The Times Atlas of World History. Times Books. p. 79. ISBN 0723003041. ^ Lester L. Grabbe, A History of the Jews and Judaism in the Second Temple Period - Vol 1: A History of the Persian Province of Judah (2004)] ISBN 0-567-08998-3, p.28. ^ a b James Maxwell Miller and John Haralson Hayes, A History of Ancient Israel and Judah (1986) ISBN 0-664-21262-X, p.xxi, 425. ^ Bar-Kochva, Bezalel (2010). Pseudo Hecataeus, "On the Jews": Legitimizing the Jewish Diaspora. Univ of California Press. p. 86. ISBN 9780520268845.